Content marketing was once a foreign term to business executives. Today, most businesses and marketers understand its value, but some still aren’t sure how to make the business case to their senior leadership. Instead, they play it safe and propose budgeting for basic paid search—or other status quo marketing activities—without a content component. Part of the content marketer’s job is to champion the value that content adds to the bottom line and explain its benefits in a clear, compelling way in order to get the sign-off and budget necessary to move projects through to execution. It’s easy for executives to grasp the soft benefits of content marketing: engaging prospects, building awareness, and educating clients. But what about ROI? That requires a bit more work; however, moving your company away from the status quo will be worth it. It’s time to put together a presentation, have your facts in order, schedule a meeting, and justify the costs, benefits, and necessity of content marketing to your C-suite executives. Don’t go into the meeting without doing your competitive research. After all, your CEO and executive team probably have an idea of which techniques the competition are utilizing. These might amount to sending mass email campaigns, buying PPC or other display ads without any tailored content, participating in trade shows, or using product listing services—all which are behind the times. Your competitors have probably realized that they need to optimize their websites for search engines and they’ve coded their static pages properly. If they’re not using content marketing, this is your chance to surge ahead of them; if they are, you’d better catch up fast. It used to be that content marketing and paid search were direct competitors for your marketing budget dollars. And at companies that don’t create any specialized content (for use in paid channels or otherwise), they still are. But today, content marketing and paid search can work together: Instead of creating ads leading to your homepage or contact page, pick out your best-performing content and create a paid search ad with it. If it’s popular with the people who found it through your other channels, chances are it will be popular with some well-targeted audiences who haven’t found you organically yet. How often do you (or your executives) actually click on display ads for real purposes? We’re not talking about competitive intelligence research or your marketer’s curiosity—but for-real purchasing or buyer research. Today, display ads have moved up slightly to 0.35 percent. What’s caused the 300 percent increase? My bet is that smart marketers who’ve coupled display ads with an already successful content marketing program—instead of bottom-of-funnel “contact us” ads—are responsible, although the numbers still aren’t all that impressive. Now you’ve presented your case of why marketing budget spent on display, paid search, and other traditional methods without a content component is not the best use of resources. How do you persuade the C-suite that content marketing is the right direction? Show them how it works! Try creating personas based on one or two members of your executive team. Craft two or three emails that would be directed at their personas to demonstrate how this part of the process works. Not sure how to start? 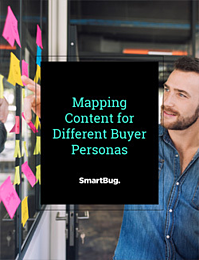 Here’s a great guide to help you learn more about personas. Be sure to show how content marketing makes the shift away from price-sensitive selling, positioning your company instead as a trusted advisor and strategic partner. One of the major goals of any marketing department is to reach more prospects. A well-executed content marketing program gives a company that opportunity, 24/7. Unlike trade shows or in-person seminars, content created on your blog or in white papers and e-books has staying power. It continues to drive opportunities years after you initially created it. Do a live search during your presentation and show how solid content that was created weeks, months, or even years before still lives on page one of Google because it’s still relevant. Start sharing articles about the benefits of inbound and content marketing. Subscribe to blogs that provide data-driven proof of content marketing’s value. You’ll be able to share with your executives these blog posts that lend credence to your proposal. Demonstrate the real-time effectiveness of content marketing. Write an article, comment on other blogs, or do a guest post, and start to show the impact that those little tactics have on traffic and lead flow. If you can show the C-suite how these activities work with real numbers, you’ll gain more credibility and the budget to execute it. Charly Mostert Charly loves researching and spreading the word on the newest inbound marketing best practices. 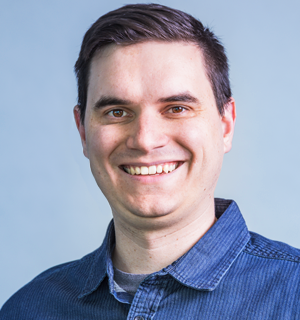 He has diverse in-house and agency experience, and works primarily on Inbound and Growth-Driven Design projects as a SmartBug Marketing Consultant. Read more articles by Charly Mostert.